North Ridgeville Lions Club is assisting Mr. & Mrs. Claus this holiday season by providing them with a direct phone line into our community. 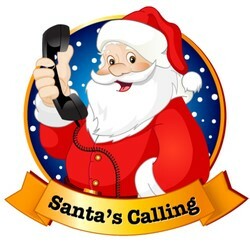 Parents who would like their children to receive a phone call from Santa should pick up a form at the NRPRD office or register online through our website. The registration form is also available below. Completed forms must be returned to Santa’s mailbox at NRPRD 7307 Avon Belden Road, registration deadline is Friday, November 30, 2018. Since this is the busiest time of the year for the Clauses, they’ll have time for only one call to each family. It’s very important that you’re home during the time your call is scheduled! Call (440) 353-1503 for more information.